Today the 13th episode of the topic Meet the Person with Han Ates. 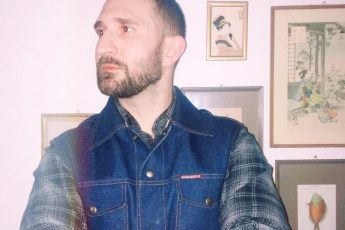 This topic Meet the Person is about passionate people, people in the denim industry. In Meet the Person I will give you an insight into their life; who are they, what are they doing, what makes them so special, where are they working on, etc. etc. 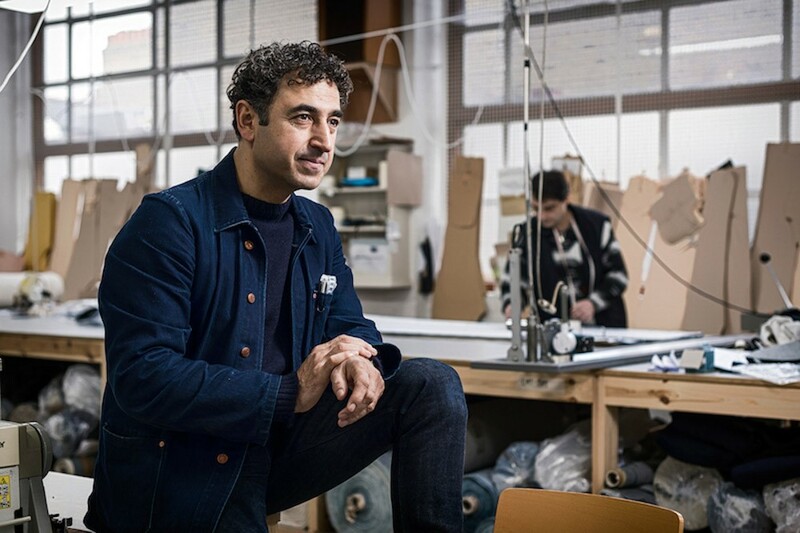 This new episode of Meet the Person is with Han Ates (the founder of Blackhorse Lane Ateliers). Thanks for sharing your great denim story Han! My name is Han Ates and I am the founder of Blackhorse Lane Ateliers. I have been making garments for over 30 years. 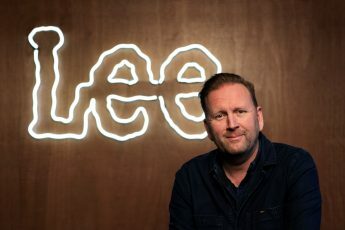 I entered into the denim industry because of what denim represents, plus where the fashion world is heading, and my dissatisfaction with this. The first factory I set up in London was in 1995. Gradually my manufacturing moved to Turkey, and then to the Far East, because high street stores were demanding faster and cheaper fashion. Through that journey I felt that I wasn’t connected to the city and community that I lived in. I wasn’t connected with my family because I was travelling a lot of the time. In 2007/2008 I decided to leave the fashion industry for good and no longer travel for my work. I set up a fine-dining bistro in my neighbourhood where I could walk to work. In the hospitality industry I learnt something that I didn’t learn in fashion: in the food business, your ingredients have to be local, fresh and high quality. Also I was witness to the ‘gourmet’ burger revolution, where you had cheap McDonalds and Burger King as the status quo, and despite this, people were opening very good quality burger restaurants, and the public was appreciating this change. The same thing happened with craft beer, where most people were buying Carlsberg, Peroni, or Guinness but local artisans were in parallel developing better craft beer. As a result, the craft-level producers created awareness of quality in burgers and beers, and with that, demand for high quality, better-made burgers and beer grew. In the restaurant business, the head chef is the creative; they are in charge of the menu, and as the restaurant owner I was side-lined by this. I missed my creative decision-making. 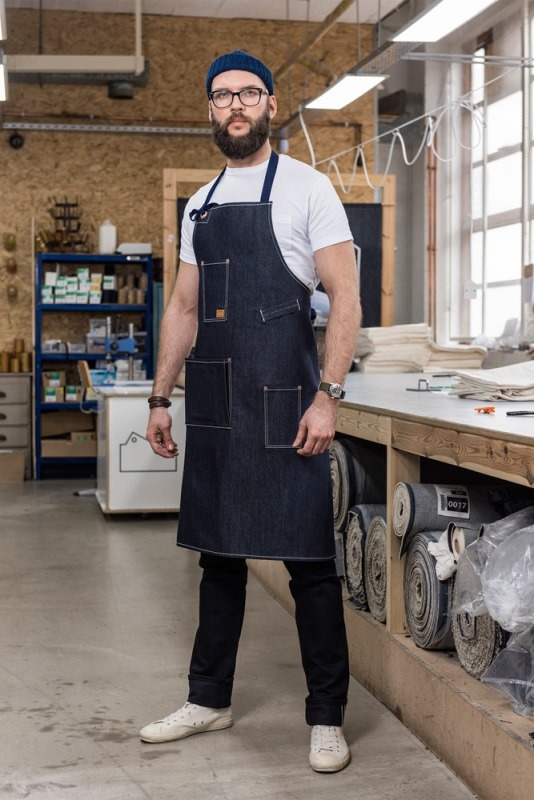 One day when I was shopping for a good pair of jeans to wear to work, I realised that the jeans sold on the high street were the ‘Burger King’ or ‘Carlsberg’ quality and make, and then I had a thought: ‘OK, I can create a crafted denim movement’. 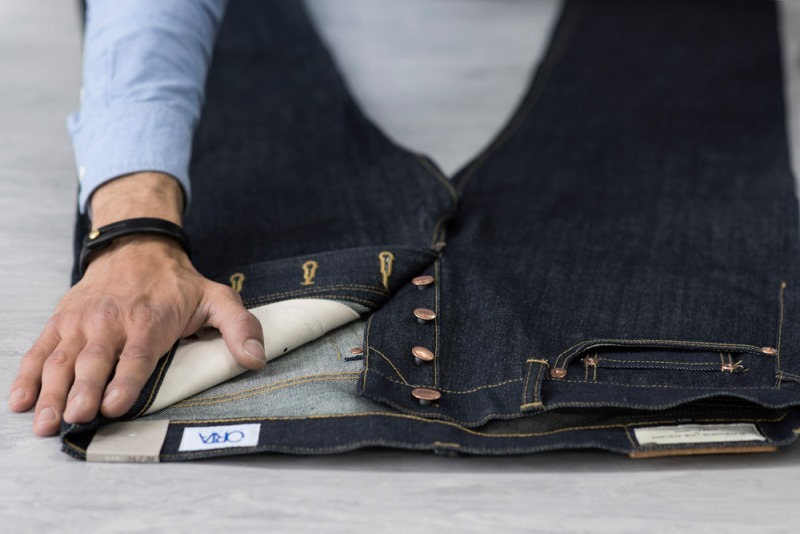 Because I had the know-how of making “tailored” garments, I took a look at how jeans are constructed, and thought about how I could make them better with an honest approach to jeans. Shots of the Blackhorse Lane Ateliers. 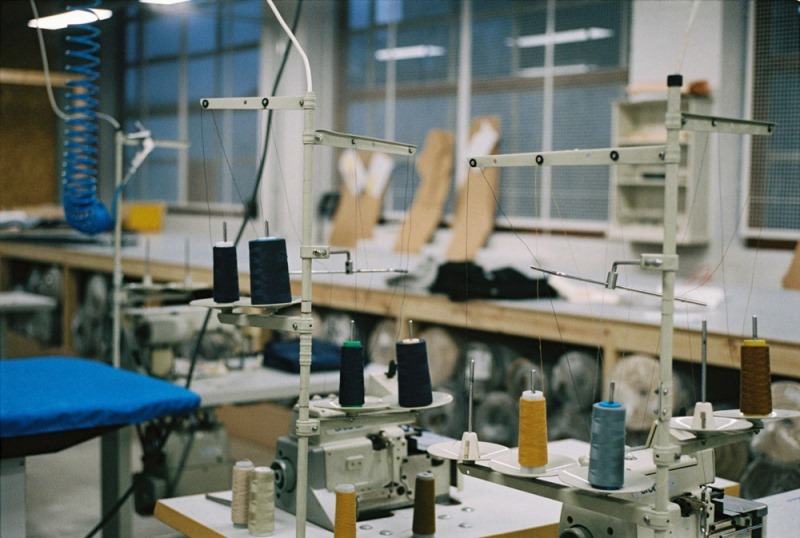 Since we own our own factory, we’re always making something, either for ourselves, or for other brands. 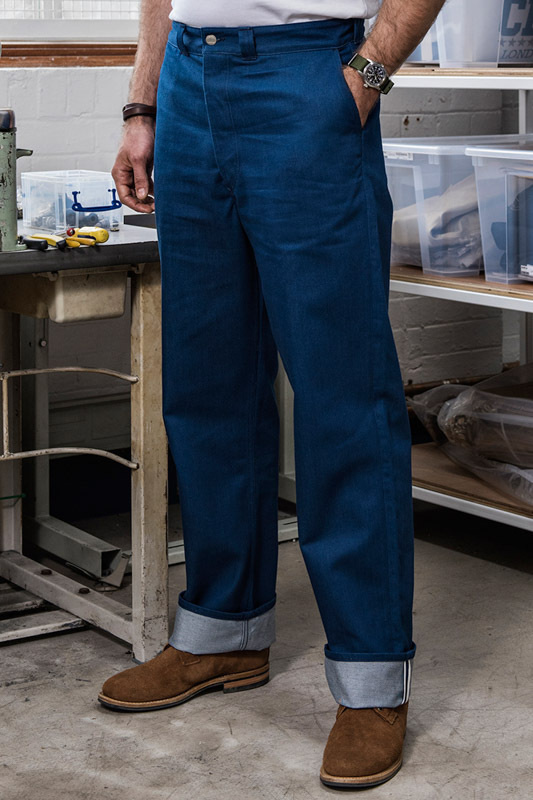 We’ve just completed a small batch of SW1 Trousers in 12oz natural indigo denim. 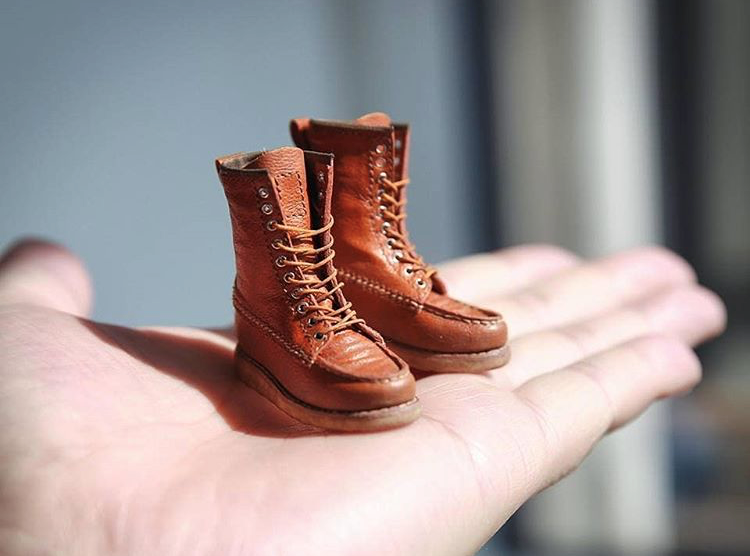 These are a limited run based on a vintage US Army trouser from the 1940’s. 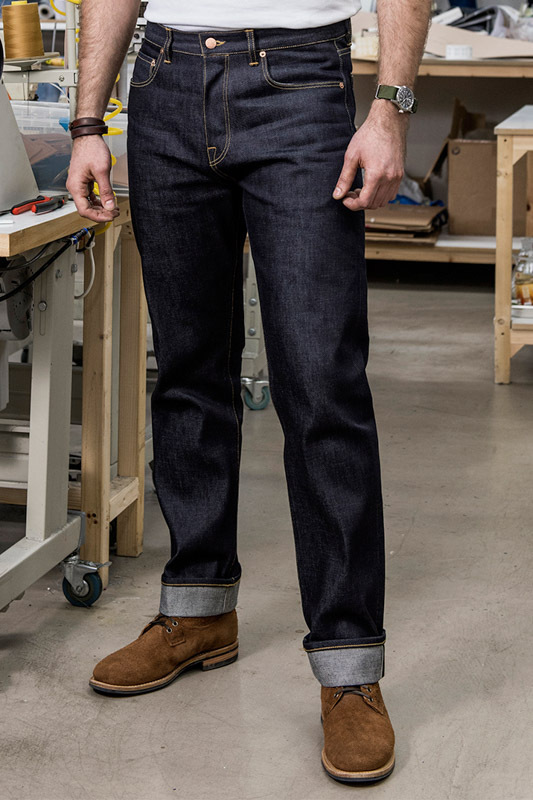 We’re also in love with our NW1 Heritage Relaxed fit in 18oz indigo selvedge denim from Kurabo Mills. We think we’ve made the perfect denimhead jean with this fit and fabric. 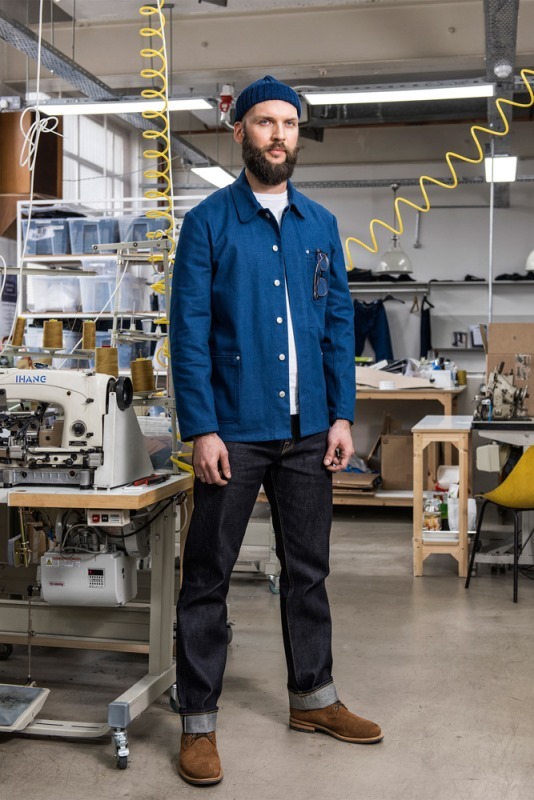 Blackhorse Lane Ateliers – SW1 Trouser – 12oz natural indigo. 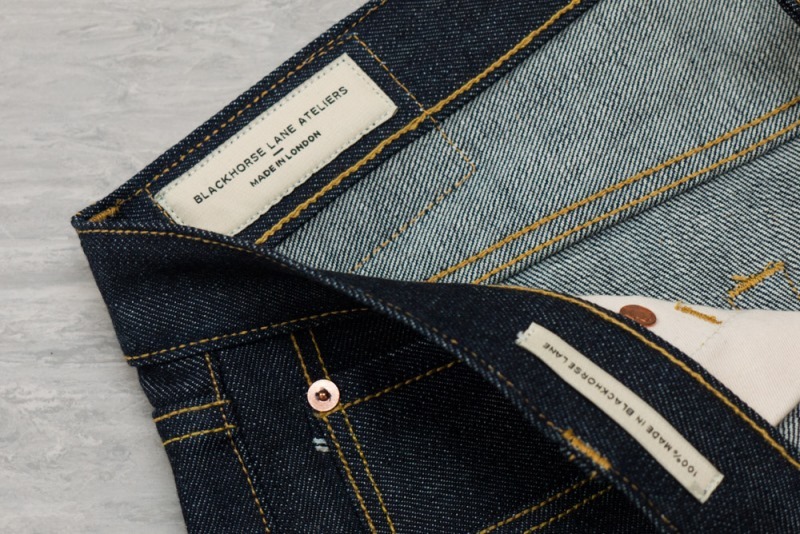 Blackhorse Lane Ateliers – NW1 heritage relaxed – 18oz indigo selvedge jeans. 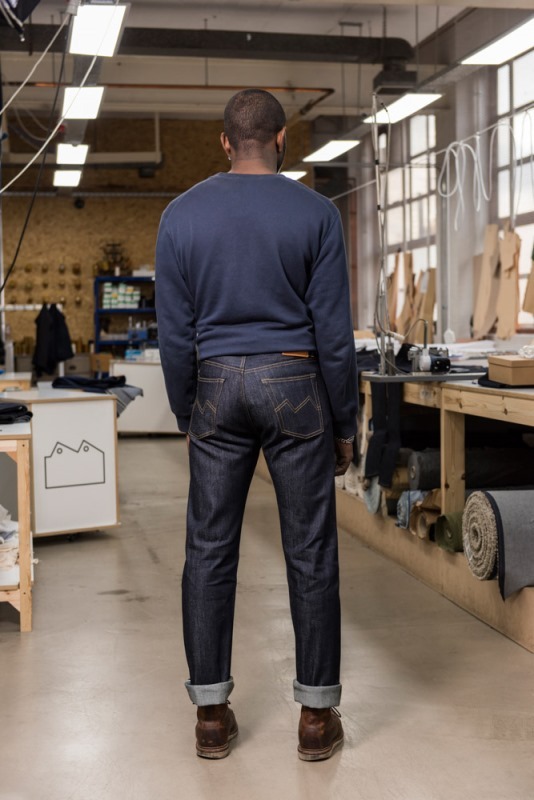 I think we have succeeded at creating a denim-making community in London and the UK, where people are having conversations about quality denim, made in the UK. I am very ignorant with that and I don’t follow trends. I prefer timeless fashion. Because I don’t follow trends, I wouldn’t know. For us, the most important thing is that whatever we do for ourselves and for our partners, it has to be in a social and sustainable way. 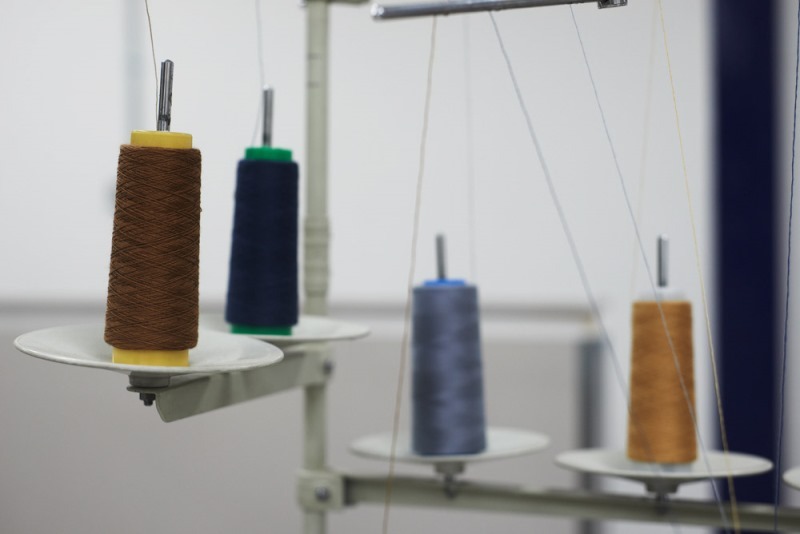 I would like to see these values, rather than trends, influencing denim making. 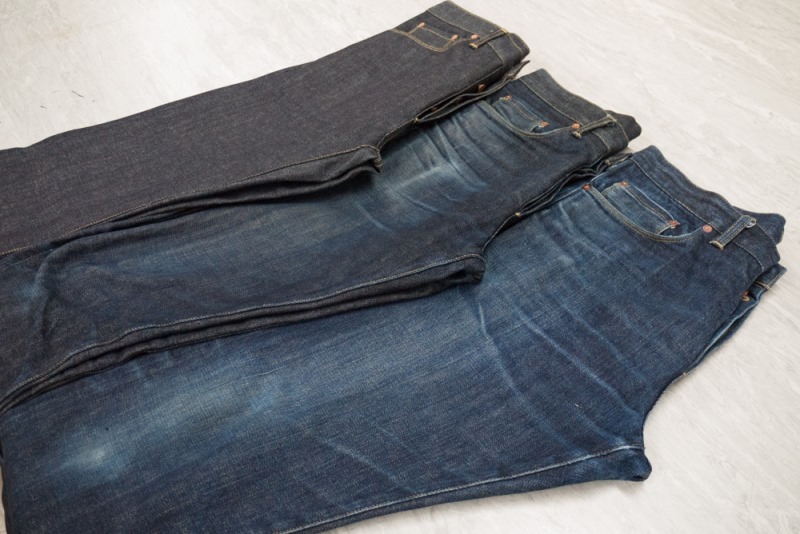 The ageing process from pairs of Blackhorse Lane Ateliers jeans. 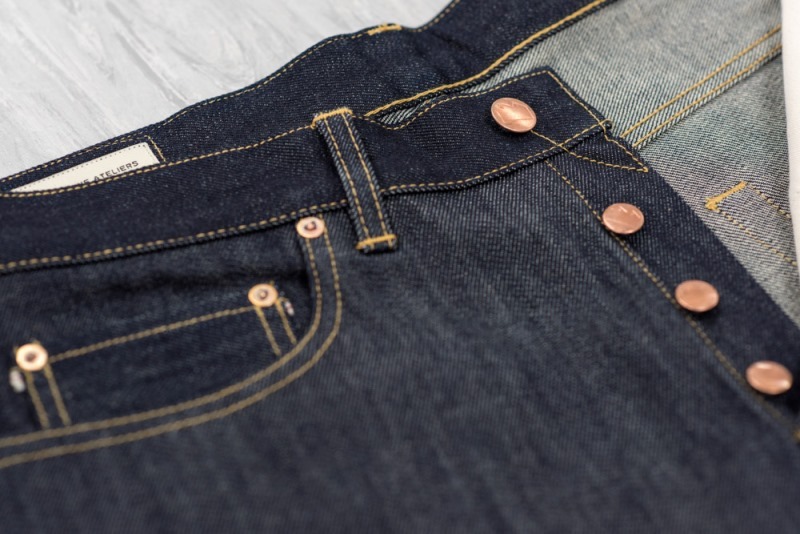 My favourite denim brands are Dawson Denim, because they really follow heritage-style finishing. The others are various Japanese brands because they also follow heritage-style finishing. A combination of British heritage garments, combined with Nordic simplicity and clean-lines. The beauty is in the detail, subtle, rather than in-your-face. I wear the same pair E8 jeans and E17 jacket everyday. 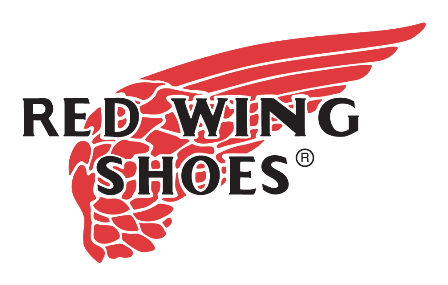 They are very practical and well made, and because I’ve been wearing them for such a long time, I have built so many memories with them. 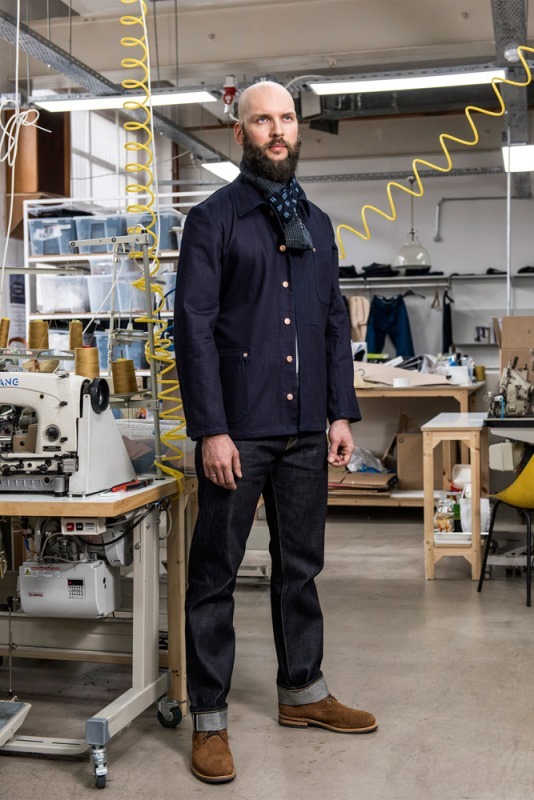 Blackhorse Lane Ateliers E17 jacket. 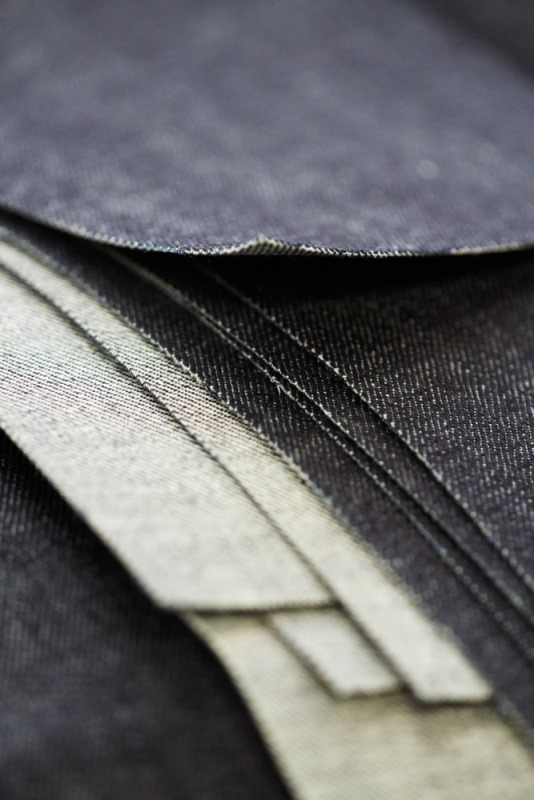 We’re working on a second version of our E8 Slim Tapered fit that we’re very excited about. 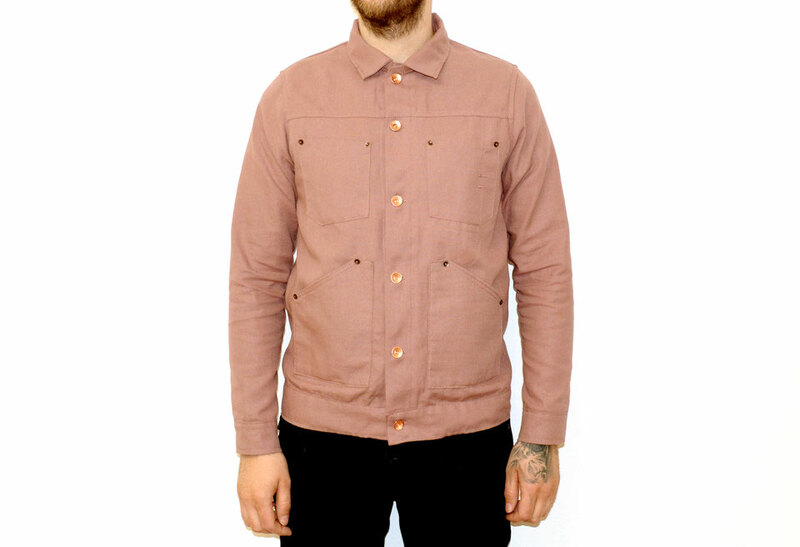 Of course, I love our E17 jacket as well. 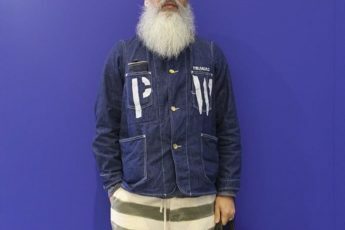 Is there a denim designer? 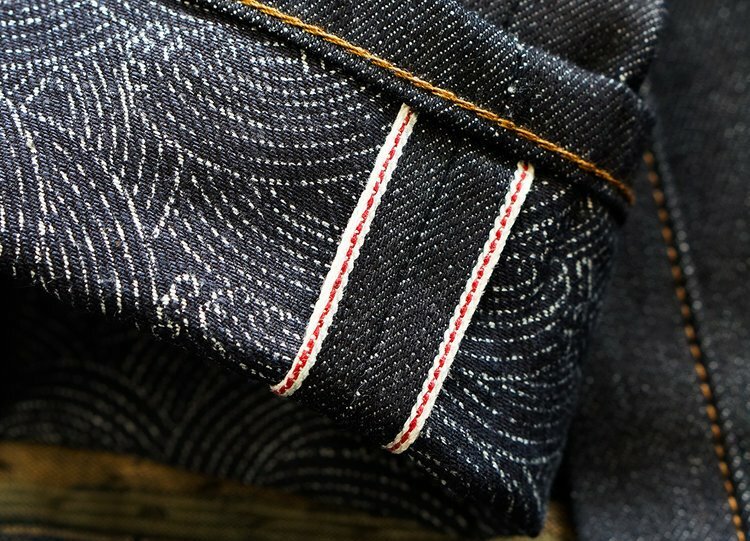 Rivets, and the denim fabric itself. 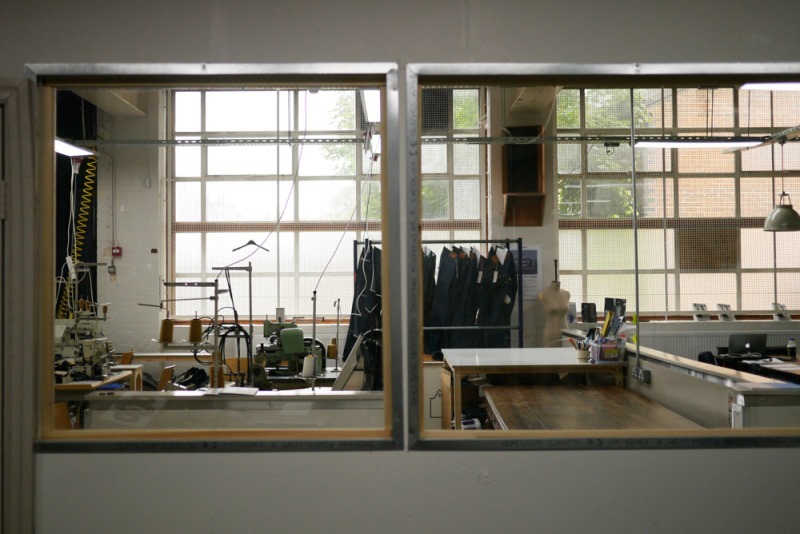 Shots of a rigid fabric Blackhorse Lane Ateliers jeans. 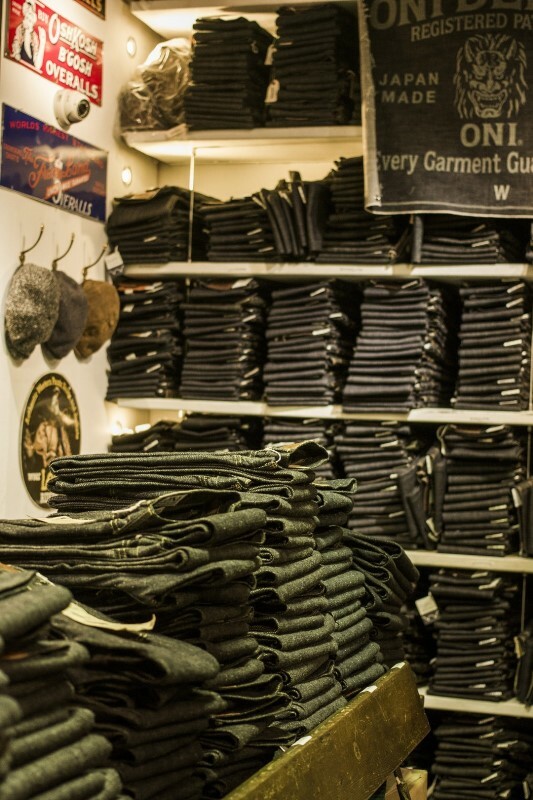 We don’t have a denim hero per say, but there are a few brands and individuals that we think are special. 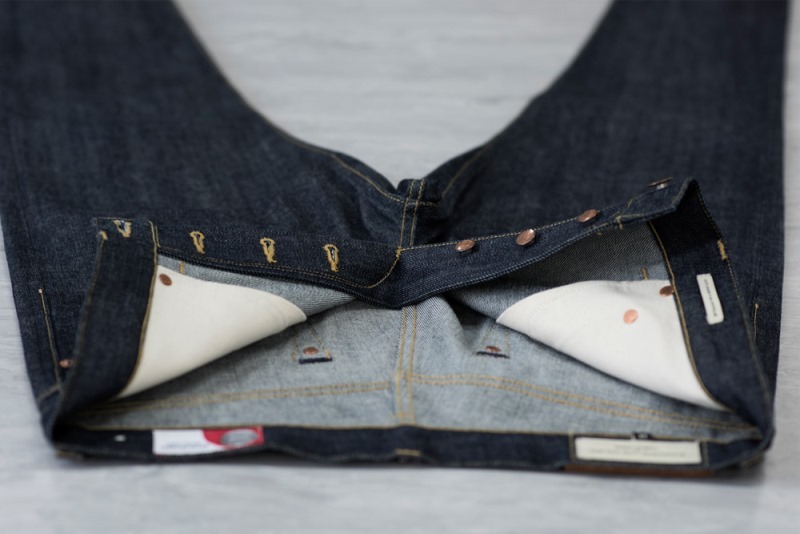 As mentioned before, Dawson Denim creates amazing garments, and they are just a two (or slightly larger) person team. 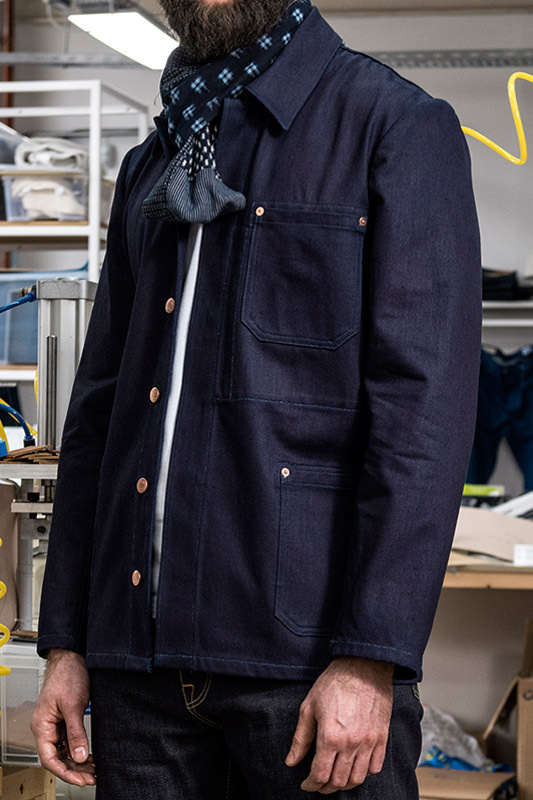 We also appreciate how Rogue Territory puts many of the same tailoring and heritage inspired touches in their garment construction, such as the one piece fly. 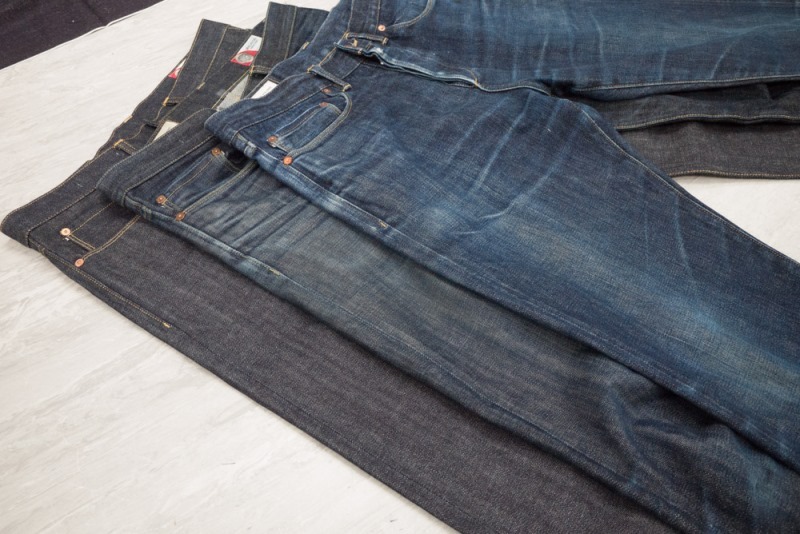 We also appreciate Mohsin Sajid of Endrime for his vast denim knowledge, and willingness to share that knowledge. Read here more about Mohsin Sajid in Meet the Collector. Son of a Stag in London. 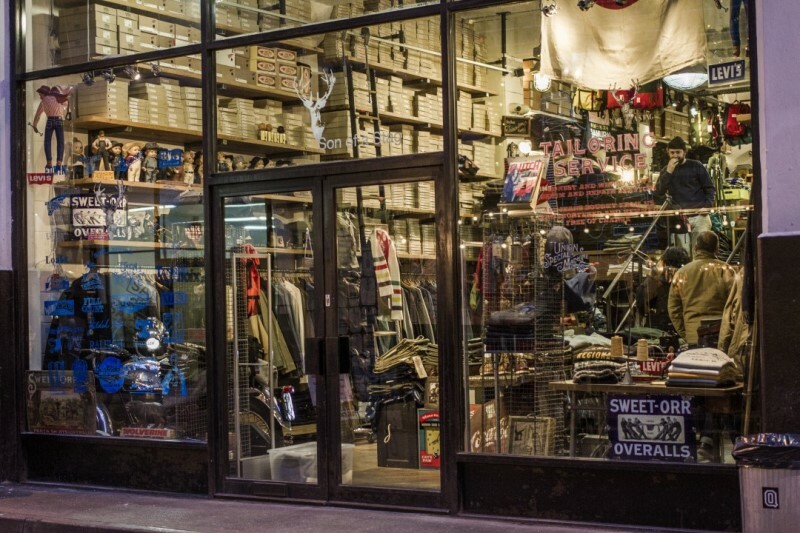 Son of a Stag store in London, UK. Pics by Maiko Naito (Clutch Magazine). 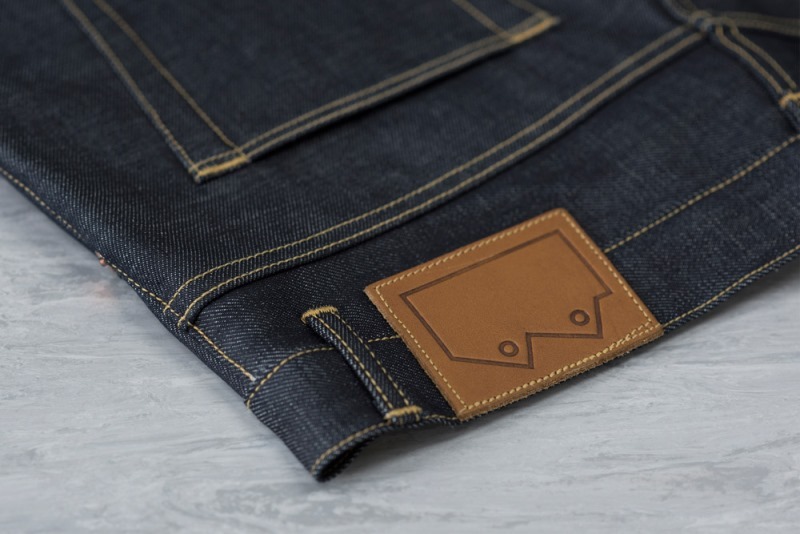 Tobacco-coloured stitching on the denim! It’s the Japanese work ‘kaizen’, which means continuous improvement. 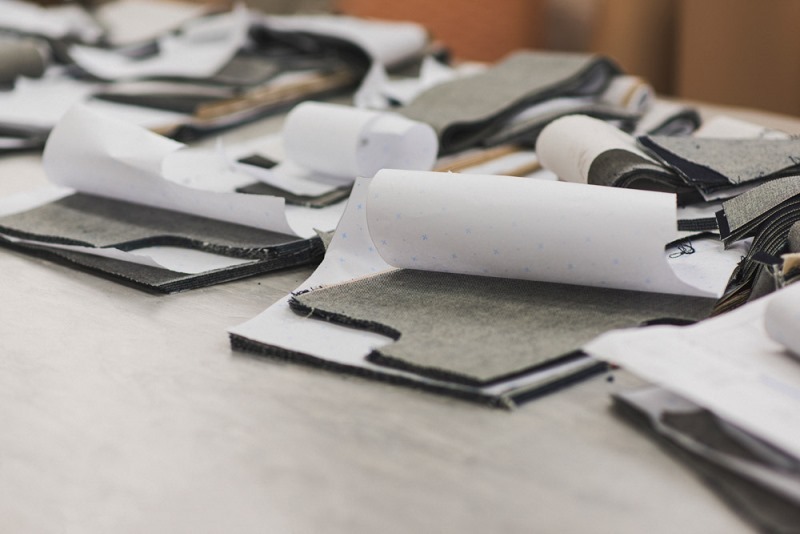 We’d be interested to learn more about Shockoe Atelier’s story. We’ve heard a bit about them, and it sounds like they’ve set up an atelier in Virginia, not too dissimilar from our own. They also must face some of the same challenges that we face by being a manufacturer, not just a brand.